The Essential Parenting Guide-NOW COMPLETELY UPDATED AND EXPANDED! 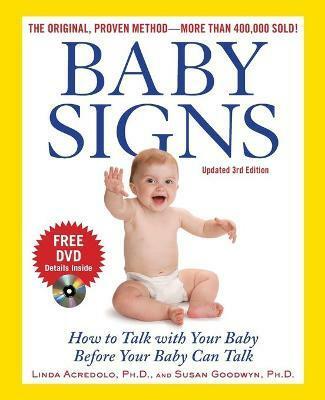 In 1982, child development experts Linda Acredolo, Ph.D., and Susan Goodwyn, Ph.D., discovered that babies can communicate with simple signs-even before they're able to talk. The result: Baby Signs, the groundbreaking technique that has changed parenting forever.Now, with the widespread popularity of signing with hearing babies and new and exciting research findings to report, the authors have completely revised and expanded Baby Signs to create this indispensable new edition. Featuring an American Sign Language approach, as well as a set of "baby-friendly" alternatives, this comprehensive new program offers all the information any parent needs to join the hundreds of thousands of families around the world who are using Baby Signs to help their children communicate their "joys and fears without tears." (Newsweek)Inside you will find . . .